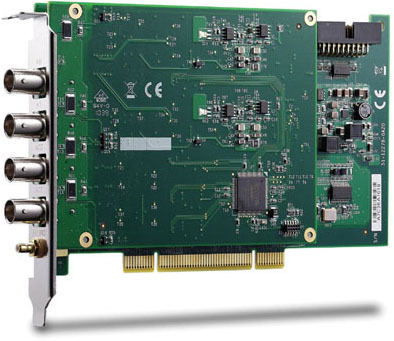 The ADLINK PCI-9527 features two 24-bit simultaneous sampling analog input channels. 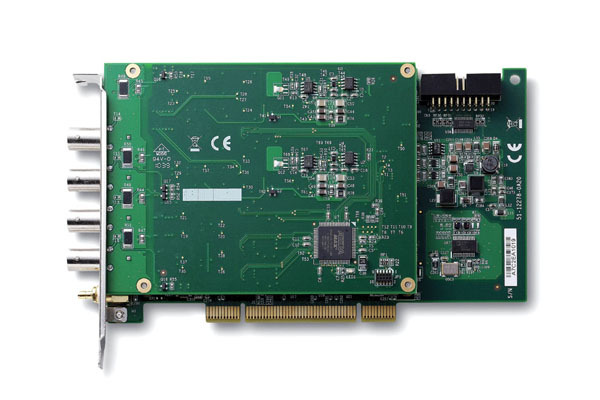 The 24-bit sigma-delta ADC provides a sampling rate up to 432 KS/s at high resolutions, making it ideal for higher bandwidth dynamic signal measurements. The sampling rate can be adjusted by setting the onboard DDS clock source to an appropriate frequency. All channels are sampled simultaneously and accept an input range from ±40 V to ±0.316 V. The PCI-9527 analog input supports software selectable AC or DC coupling and 4 mA bias current for integrated electronic piezoelectric (IEPE) sensors. 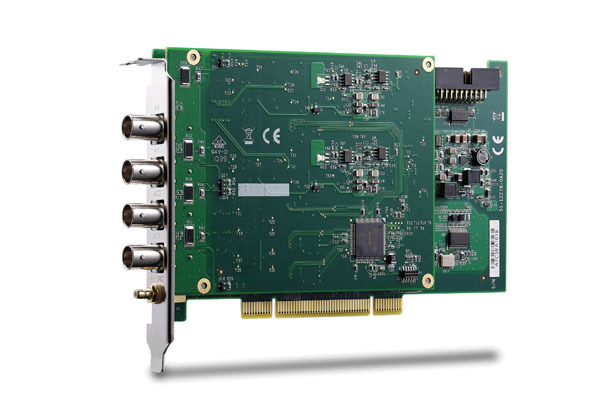 The ADLINK PCI-9527 also has two channels of 24-bit resolution, high fidelity analog output. 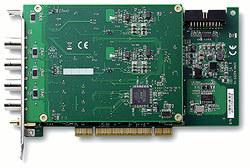 The outputs occur simultaneously at software programmable rates up to 216 KS/s. A software programmable output range of ±0.1 V, ±1 V, and ±10 V is available on the output channels.